The gas sol­de­rer - the bur­ner costs just 6.73 $. In­di­ca­tor of the le­vel of the sig­nal for mo­re ac­cu­ra­te set­ting of the an­ten­na costs just 11.30 $. Co­py yo­ur ho­me vi­deo in­to the com­pu­ter. To buy a USB de­vi­ce costs just 6.60 $. 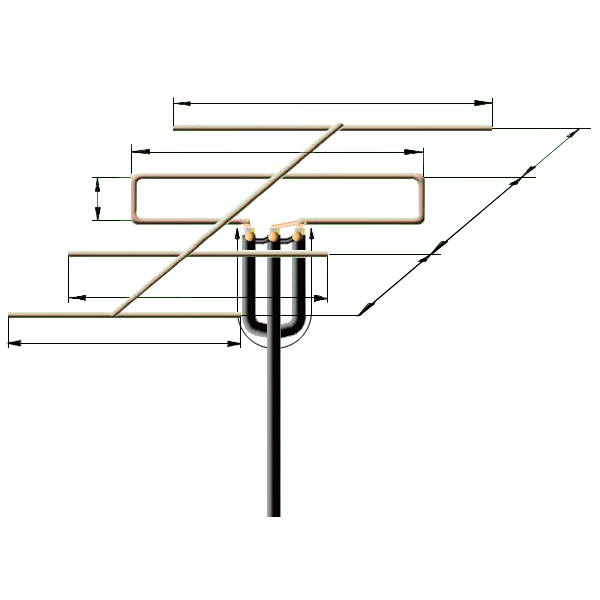 Let&apos;s add one more directior to a three-element Yagi antenna. This way we will recieve a four-element antenna. Its" power gain will increase by 1-2 Db and it will be 8-9 Db, so it will enlarge the zone of confident reception by a few kilometers. The next increasing of the number of elements will not lead to the strong growth of power gain since each subsequent director will be giving less growth of antenna"s gain.